STOP, LOOK and OFFER!!! This home is it! Beautifully updated home features vaulted ceilings, custom color scheme that will enhance your furnishings, and a fireplace in the living room, great to cuddle up to on those chilly winter night. Theater room perfect for family time! Rich custom wood cabinetry, sleek countertops, stainless steel appliances and a walk in pantry complete this stylish space. Master suite is complete with a sitting area and french doors leading out to your private balcony. The ensuite is complete with double sink vanity, walk in shower and generously sized walk in closet! Enjoy the outdoor space with a dip in the pool or catching a tan in the sun. Great location! 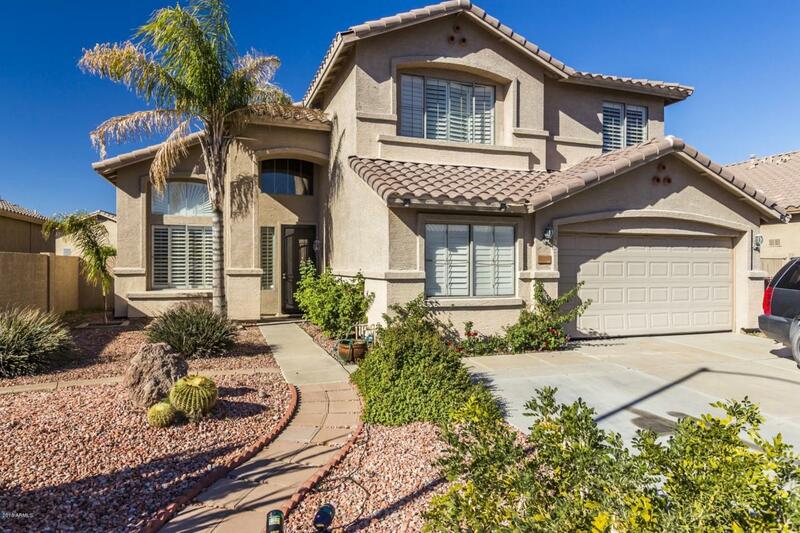 Within minutes of the 101 freeway, Deer Valley High School, and Arrowhead Lakes Park. Schedule Today!